IL BURCHIELLO, A ROMANTIC MINI-CRUISE AMONG VENETIAN VILLAS, FROM VENICE TO PADUA A romantic mini-cruise among the Venetian Villas of the Riviera del Brenta, through art and history, along the waterway of the ancient venetian “burchielli” of the 1700’s; a charming cruise with guided tour of three Villas and crossing of nine swivelling bridges and five locks. Venice and its Lagoon were added to the World Heritage List of UNESCO in 1987. And it is exactly the Venice Lagoon and the areas forming this UNESCO site, together with the big rivers and the parks on this area, and including the mainland of Venice with its activities and businesses that form a territory that is deeply connected to water. Water is the theme chosen by the Venice Expo Committee for the initiatives to be launched on this territory during Expo 2015. After its establishment, the Venice Expo Committee has seen Venice – the city of waters – as the location where water becomes the source of life-generating energy. This theme will be developed further, for Venice to play its part in the great Expo 2015 event: water is energy, it is the element that keeps a territory together by favouring the development and pooling of cultural and art works, of fine wines and gourmet cuisine, of food production and fishing. Therefore water becomes the clue to understand how natural processes and human activities may affect the performance and the quality of the environmental, artistic, historical, and cultural heritage. The planned events linked to the water theme, and the water routes in particular, are paramount to show tourists how water and waterways have influenced the transformation of the Venetian territory. In the past this territory was crossed by large rivers that merged in a single, wide lagoon; today the navigable waterways are mainly the Riviera del Brenta – from Padua to Venice – and the Sile from Altino to the Venetian islands. The Riviera del Brenta, with its Venetian Villas and its cultural and artistic wealth, inspires considerations about the need to preserve and safeguard an environment where the meeting of water and land has generated such wonderful activities and cultural manifestations. The Burchiello was a typical Venetian barge, finely wrought and decorated, used to transport passengers and equipped with a wide wooden cabin, and three or four balconies. 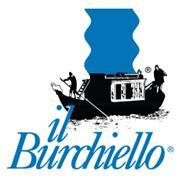 The Burchiello was used by the richest classes of Venice to reach the city from their villas in the countryside. As it used to do in the past, nowadays the Burchiello operates as a scheduled touristic service along the Riviera del Brenta, from Padua to Venice or vice-versa; heir of old traditions, it slowly cruises the Brenta waters while tourist guides on board tell about the history, the culture and the art of the Villas that rise along the Brenta river. The programs offer navigation from Padua to Venice (Padua, Stra, Dolo, Mira, Oriago, Malcontenta, Fusina, Venice) or from Venice to Padua (Venice, Fusina, Malcontenta, Oriago, Mira, Dolo, Stra, Padua), plus the guided tour inside some Venetian Villas, the famous richly-frescoed summer dwellings of the Venetian noblemen of the 1700’s. This charming mini-cruise passes through nine swivelling bridges and five locks, real “water lifts” that enable tourists to go up the difference in water level that is as high as 10 meters from Venice to Padua, and it concludes its trip in Padua at the historical 1500’s Burchiello’s Stairway at Portello, in the ancient river port of the city. The program includes navigation, guide on board and inside the Villas and entrance fees to the the visited Villas; lunch available on request, from € 22,00 to € 29,00. Booking online: www.booking-on-line.com. Every year, from March to October, a romantic mini-cruise amidst the Venetian Villas along the Riviera del Brenta, from Venice to Padua or viceversa, a trip through art and history on the waterway followed by the ancient Venetian Burchiello in the 1700's. Every year, from March to October, a romantic mini-cruise amidst the Venetian Villas along the Riviera del Brenta, from Venice to Padua or viceversa, a trip through art and history on the way followed by the ancient Venetian Burchiello in the 1700's. This charming mini-cruise passes through nine swivelling bridges and five locks, real “water lifts” that enable tourists to go down or up the difference in water level that is as high as 10 meters from Padua to Venice, and it concludes its trip in Venice in the fantastic marble scenario of St. Mark’s Basin.